"Dr. Choudry was very caring and paid full attention to my problems." "Dr. Choudry is very professional. He made me feel at ease with his procedural knowledge." "Dr. Choudry and his staff made me feel right at home. I highly recommend!" Established in 2005, Washington Vascular Specialists is the first outpatient vascular treatment center in the mid-Atlantic region and has locations in Takoma Park, Largo, and Frederick, Maryland. Founder Mubashar Choudry, MD, is an interventional cardiologist and vascular surgeon with unparalleled training and over 20 years experience in vascular care. At Washington Vascular Specialists, getting expert care close to home just got easier. Dedicated to comfortable, affordable, and effective care to provide relief from a variety of vascular issues, Dr. Choudry is a leader in his field and works with a team of specialists to ensure the best care possible. Delivering collaborative care with an emphasis on education, conservative treatments, and minimally-invasive procedures, Dr. Choudry and his team produce results. Dr. Choudry utilizes innovative technology from Abbott™, Tektronix®, and Medtronic™ to perform endovascular procedures that provide relief from leg pain, swelling, cramping, and wounds. He also helps men and women understand their risks for developing more serious health issues related to chronic diseases like high blood pressure, high cholesterol, and diabetes through screenings and diagnostic evaluations. 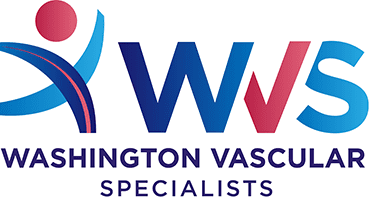 For compassionate, respectful care for vascular-related health concerns, visit Dr. Choudry at Washington Vascular Specialists. If you don't see your insurance here, please call us at 301-304-4616 to inquire further. We offer flexible payment options as well.